A few weeks ago it was peak fall foliage in the Sangre de Cristo Mountains outside of Santa Fe, New Mexico and I spent a few mornings photographing in the area. I photographed this scene on a chilly but crystal clear morning. 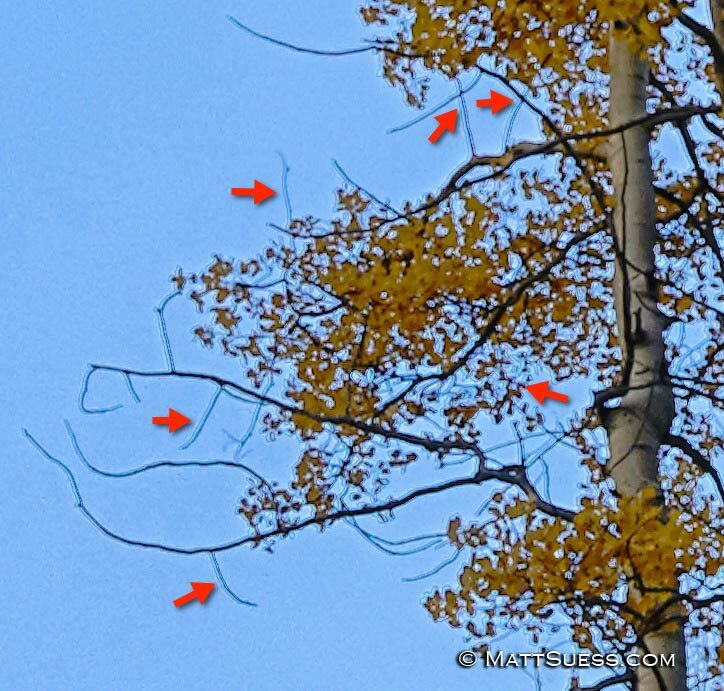 In this particular aspen grove all of the leaves were a bright golden yellow which certainly stood out from the deep blue sky. I was looking for a shot a little different from the traditional “lay-on-the-ground-and-look-up” shot. So I stood at the edge of the grove instead of inside it and I centered my composition on the tallest tree.